Liz Compitello is a research analyst in the Office of Energy and Climate Change Initiatives at the Delaware Valley Regional Planning Commission. At DVRPC, Liz manages the Circuit Rider for Energy Efficiency in Local Government Operations program, which aims to provide tools and assistance on energy management best practices to municipalities in southeastern Pennsylvania. Prior to her work at DVRPC, Liz supported the development of programs to assist municipal governments in reducing energy and responding to climate change while interning with the New York State Energy Research and Development Authority and the NYS Department of Environmental Conservation’s Climate Change Office. Liz received her Masters in Regional Planning from the University at Albany and a BA from Skidmore College. Jon Lesher currently works as an environmental and community planner for the Montgomery County Planning Commission. Jon’s duties include writing and reviewing ordinances, reviewing sewage and land use proposals, conducting planning related studies, and public outreach efforts. 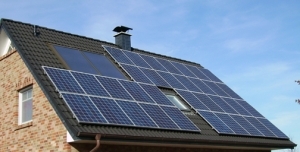 Jon is the project leader for the Renewable Energy Series and the County Planning Commission’s renewable energy efforts. Jon is also involved in the early stage development of a County solar project and other County-wide sustainability initiatives. Before joining Montgomery County Jon has related experience working for the Brandywine Conservancy and in stormwater management. Jon earned his undergraduate degree from Ursinus College and a Master’s in Regional and Community Planning from Temple University. Kristin Sullivan graduated from Gettysburg College in Environmental Science and Biology. After her service in the Peace Corps Honduras, she began working as an energy analyst with an internationally focused energy management consulting firm. After taking time off to complete an environmental campaign that took her on a 14,000 mile journey via bike from AK to Argentina, she then moved on to large scale wind energy development. Kristin is now the City of Philadelphia’s Energy Manager and Director of the Philadelphia Solar City Partnership Program. Her work straddles both the Mayor’s Office of Sustainability and Mayor’s Office of Transportation and Utilities.